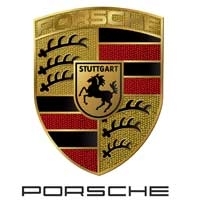 OSNABRUECK, Germany (Reuters) -- Porsche will reduce investment spending and cut costs next year to offset lower-than-expected car sales and maintain its high profitability. "We will possibly delay the one or the other project," Porsche CEO Matthias Mueller said on the sidelines of the production launch of the new Boxster. Mueller said Porsche's vehicle sales next year could be between 5-10 percent below the company's internal target, but they should still be on par with the number sold in 2012. The company will also moderately reduce production in 2013, he said. Porsche's global sales have increased 15 percent this year through August to 92,474 vehicles. However, auto sales have slowed in Europe this year amid the region's economic slump. Demand is also slowing in China. In 2011, Porsche's sales increased by 22 percent to a record 118,867 units. Porsche is expected to show a Panamera wagon at the Paris auto show as a hint of how it plans to expand the range of its only four-door sedan. The company is also said to be considering a smaller sedan -- code-named Pajun, for Panamera Jr. -- to compete with the BMW 5 series and Mercedes-Benz E class. The Macan, the brand's second crossover after the Cayenne, is set to on sale in late 2014. It shares a platform with the Audi Q5. The 960 two-seat midengine coupe with a 600-plus-hp V-8 turbocharged engine is reported to be in the works for a debut in 2015 or 2016 as a rival to the Ferrari 458 Italia. The 960 would slot between the 911 and 918 and would share its platform with the next-generation Lamborghini Gallardo and Audi R8.